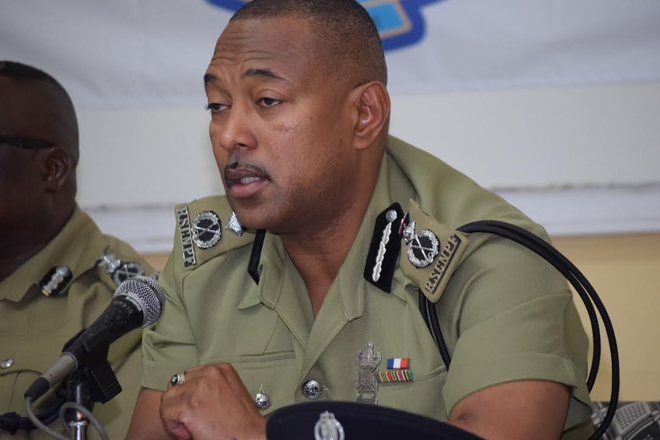 (ZIZ News) — Police Commissioner Ian Queeley says members of the Police High Command including himself are fully welcoming the introduction of new technologies that can bolster the prevention and reduction of crime in St. Kitts and Nevis. He made the statements while speaking at the recently held Commissioner’s Press Conference on Thursday. During the Team Unity government’s two-year anniversary celebrations, the Crime Reporter (Report A Crime) app was one of five additional applications launched as part of the government’s E-Government initiative. The Commissioner also used the opportunity to give background information on the app’s features. Queeley said the police force will continue to incorporate good forensic practices in building cases for prosecution, and as such praised the addition of Mr. Narace Ramnarine as the new head of the forensic services unit. “He has been with us for a little over a month, and Mr. Ramnarine comes with years of the requisite experience, and he has had an immediate impact with his leadership and management in that department”, the Police Commissioner expressed.